Bowel cancer is the third most common cancer, and this rate has been rising. While genetics and age (over 50’s) have been thought to play the largest role in its development, newer research is hinting that lifestyle factors are playing a bigger and bigger role in the increasing number of cases being diagnosed. If you have a family history of bowel cancer it would pay to get screened regularly, as this form of cancer is usually asymptomatic until the later stages, and of course the sooner it is diagnosed the better the recovery rate. Even for those with no family history, there are some sensible steps you can take to drastically lower your risk (by up to 75%), and luckily they are all things that will make you feel great too! At least 5 days a week, for at least 30-60 minutes. Aiming for moderate intensity (or higher if you are up to it). The evidence keeps stacking up that physical activity is a strong preventative of colon cancer. Increased body fat is a risk factor, and working to steadily reduce your weight if your BMI is over 25 will help lower your risk, along with benefiting you health in many other ways. 0.5-1kg weight loss a week is a healthy and sustainable goal to go for. Aim for no more than 1 standard drink a day for females, and 2 standard drinks for males, with at least one alcohol free day a week for the general population. If you have a family history of bowel cancer it may be sensible to limit your consumption to even less than this. 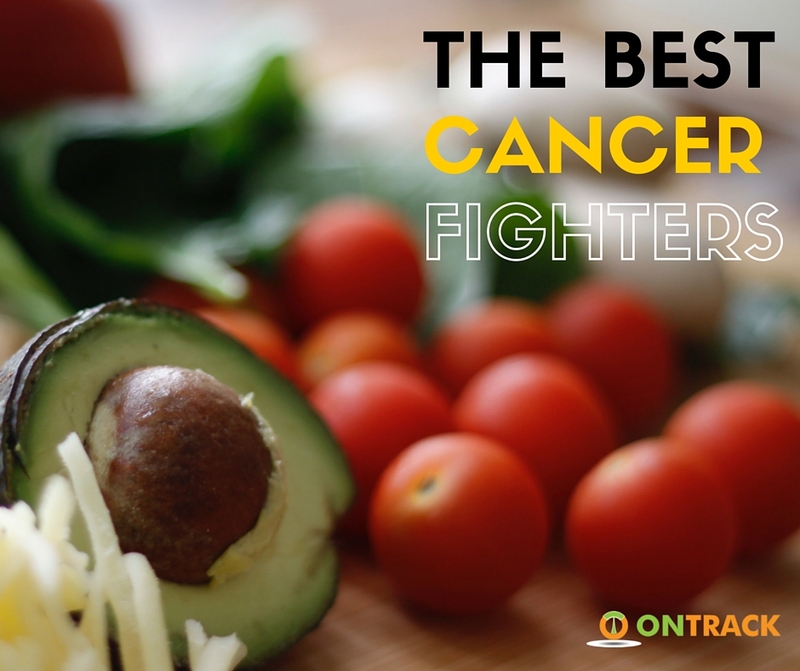 Especially the more brightly coloured veggies, which are packed with antioxidants (natural cancer fighters), and those higher in vitamin D such as mushrooms, spinach, and potato. Choose grainy breads, wholegrain cereals, and use legumes in cooking or salads. Milk and calcium are linked to being protective against bowel cancer. If you can’t tolerate cows milk, make sure you choose a calcium fortified soy, rice, almond milk or other non-dairy alternative. Choose fish, poultry, or vegetarian dishes more often and reduce red meat to a maximum of 500g a week (ideally not at one sitting), and use marinades when pan frying steaks to prevent charring, or cook more slowly on lower heats for other dishes. Avoiding processed meats such as bacon, ham, smoked meats, cured meats are important as there is compelling evidence of the cancer causing effects that come with smoking or curing meat. Fats from animal sources such as full cream dairy products, skin on chicken, not cutting the fat off meat (goodbye pork crackling), choosing high fat processed meats like sausages or salami, butter etc as well as foods high in sugar… and often the “bad” foods we indulge in are high in both. Swap to low fat dairy, lean meat or vegetarian options, and healthy margarines made from plant sources, and a good rule of thumb for label reading is to aim to keep sugar to less than 15% (15g/100g) when possible for processed foods, and instead choose a piece of fresh fruit for your sweet hit. There is good evidence of the protective effects of garlic, so use in your cooking as a staple. The protective effects are generally better when the sources are real food as compared to supplementation, so fresh is usually best. Are you serious about staying healthy? I can be overwhelming to overhaul your diet. What’s healthy, what’s not, what’s healthy but could make you gain weight? What packaged foods are ok? So many questions! This is why the nutrition education workshops are such an important part of our proven weight loss program. Of course you’ll lose weight while at our retreats, your meals are chef prepared and nutritionally balanced, but what happens when you get home (and leave the chef behind)? Our guests have raved about how valuable it was to walk away with the nutritional knowledge and skills they needed to lose weight in the long term. Check out why OnTrack are Australia’s No. 1 Weight Loss & Fitness Retreats.